We all agree that texting while driving is dangerous, but were you aware of the seven other distractions that can be just as deadly? While texting gets most of the attention, the mostly ignored other seven kinds of distracted driving are to blame for a substantial amount of deaths and injuries every year. Auto insurance companies know this is major cause of accidents and the annual costs are somewhat overwhelming. 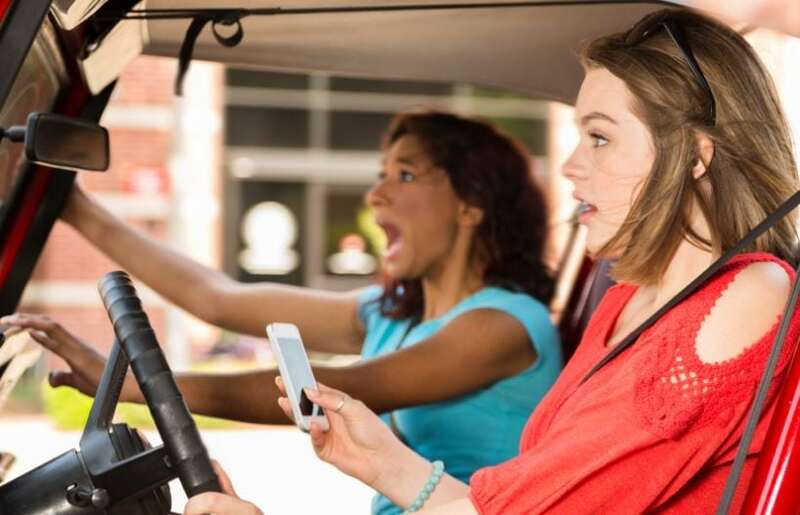 According to the official U.S. government website for distracted driving, Distraction.gov, a total of 3,328 people were killed in distracted driving crashes in 2012. The numbers are distressing, considering the fatalities were, for the most part, preventable. The more staggering statistic is the 421,000 people who sustained injuries in crashes that involved a distracted driver. There are 3 basic categories of distractions: manual, visual, and cognitive. • Manual distraction – happens when a driver takes his hands off the wheel. When you use your cell phone, you’re involving all 3 distractions at once. This makes it, potentially, the most dangerous thing you can engage in while behind the wheel. Even when using a hands-free device, your mind is still not 100 percent on the road. And, it’s not the only dangerous activity that can make you a hazard to yourself and others while driving. According to a survey conducted by AAA, 84 percent of those responding drove with their pets, but only 16 percent claimed to have used any form of restraint. In addition, 52 percent confessed to petting, 13 percent to feeding, and 4 percent to playing with their dogs while driving. Studies show that answering a text takes about 5 seconds, during which you can travel the length of a football field. There is no current data on how long it takes to give Ruff a doggie bone or grab his fallen toy from the back seat floor. There’s no doubt that having young children in the car can be enormously distracting. As a matter of fact, AAA reports that kids and infants are 4 times and 8 times, respectively, more distracting than adults as passengers. Furthermore, an Australian researcher studied their effect on driving and found that the average parent takes their eyes off the road for a frightening 3 minutes and 22 seconds during a 16-minute trip. According to the National Highway Traffic Safety Administration (NHTSA) guidelines, a crash is deemed to be caused by distracted driving if the investigation concludes that a driver had been using a technological device or participated in inattentive or careless activities, including reading, talking, applying makeup, or eating. 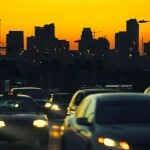 Public Health Reports blames distracted driving for an increase in pedestrian and bicyclist deaths from 2005 to 2010. A California Appellate Court ruling in 2013 determined that the use of a GPS device or mapping functionality on a phone while driving was equal to the same risk associated with texting. A study released by the NHTSA and the Virginia Tech Transportation Institute found that 80 percent of all vehicle crashes involved driver distraction of some type, including applying makeup. Not only is it dangerous, but it could also earn you a ticket, if you get pulled over by a police officer. It’s considered distracted driving. Often used as an excuse for speeding or driving erratically, having to go to the bathroom (in a bad way) resulted in a “cognitive deterioration”, which was equivalent to having a 0.05 blood-alcohol content. Apparently, when you have to go badly enough, your judgment can become so impaired you lose focus on the road. Research has proven that it’s extremely difficult for the human brain to do two things at once, without both suffering. And, many studies show that hands-free devices, even if used properly, are often no safer than hand held devices. Anything that occupies your attention and takes your mind off the road is considered to be a cognitive distraction…and dangerous. The key to avoid driving while distracted is more or less up to you. Obviously, driving without the kids or passengers – ever – is unrealistic. But, you can choose to minimize your distractions as much as possible. Avoid using your cell phone to text, answer emails, or talk when driving. Apply your makeup at home by getting up 15 minutes early. And, keep your hands on the steering wheel, your eyes focused on the road, and your mind on your driving. You may want to minimize the cost of your premiums as well by checking that you’re getting the best rate on your auto insurance. Why not get a free auto insurance quote today? Have you been guilty of distracted driving? Feel free to share your thoughts in the comments section below. We all agree that texting while driving is dangerous, but were you aware of the seven other distractions that can be just as deadly?